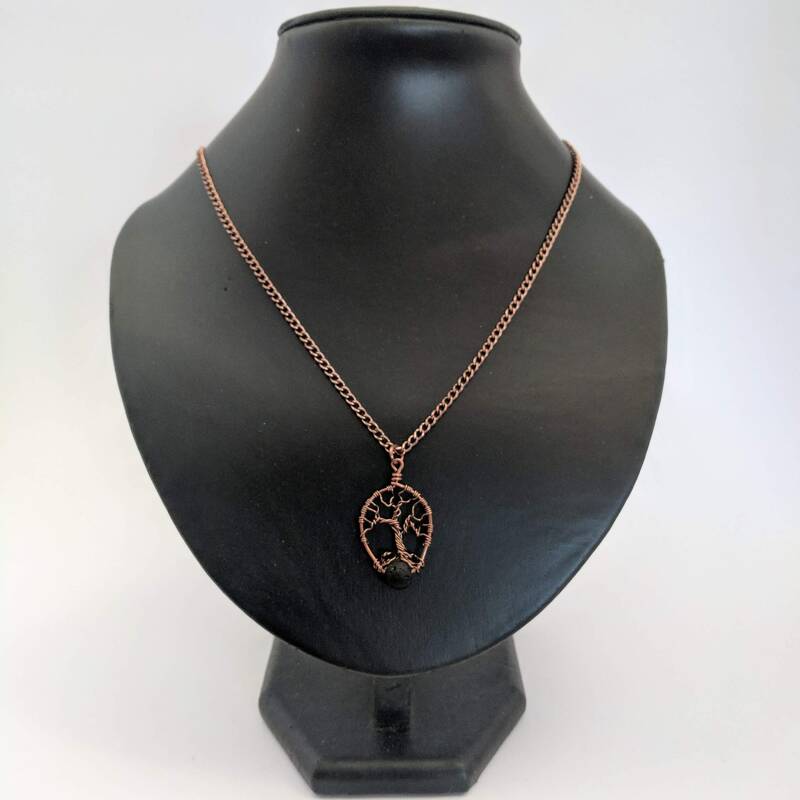 Earth's Heart - This handmade Tree of Life pendant is made of copper to conduct healing energy throughout the body. 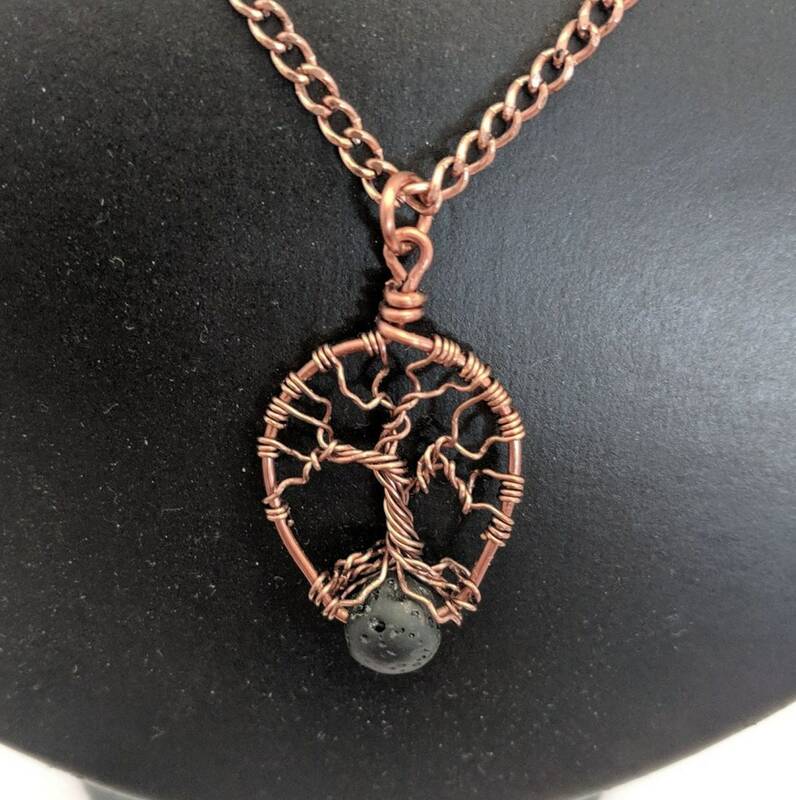 It has its roots around a piece of lava that represents the center of the earth or the Earthstar Chakra. This tree reminds us that we depend on the planet earth to ground our spiritual body to the physical plane. 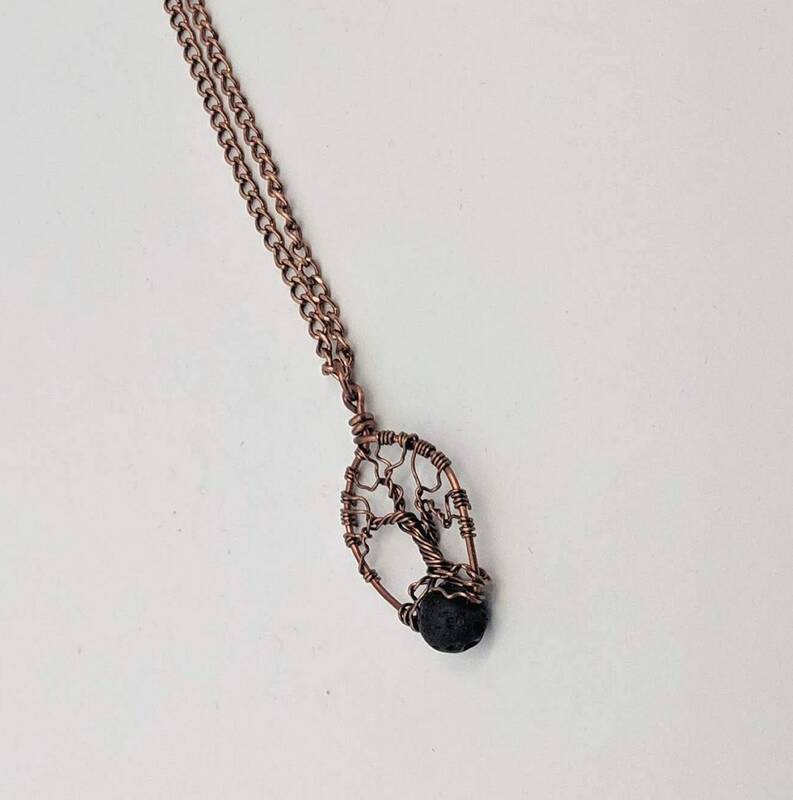 The pendant measures 20mm or 7/8" at its widest and is approx. 1 1/2" high including the bail. 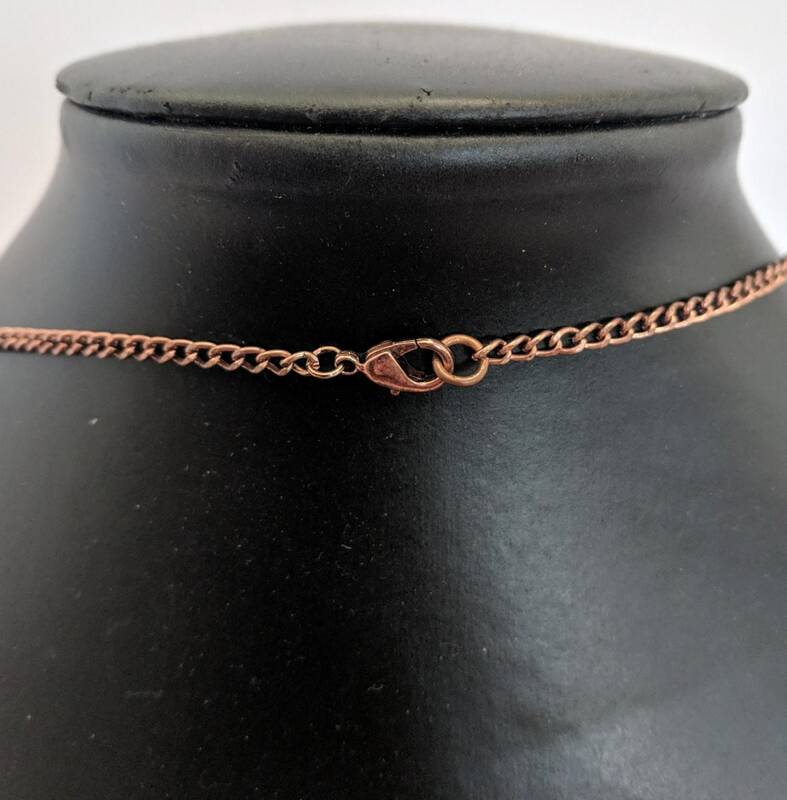 It hangs from an 18" copper chain with a lobster claw closure. It is the grounding point for your entire chakra system and etheric body. It connects you to not only the earth but the whole of humanity as well. Some believe it is connected to our past lives too. LAVA - Is literally from the earth's core and is considered a grounding stone. It protects the wearer from negative energy. 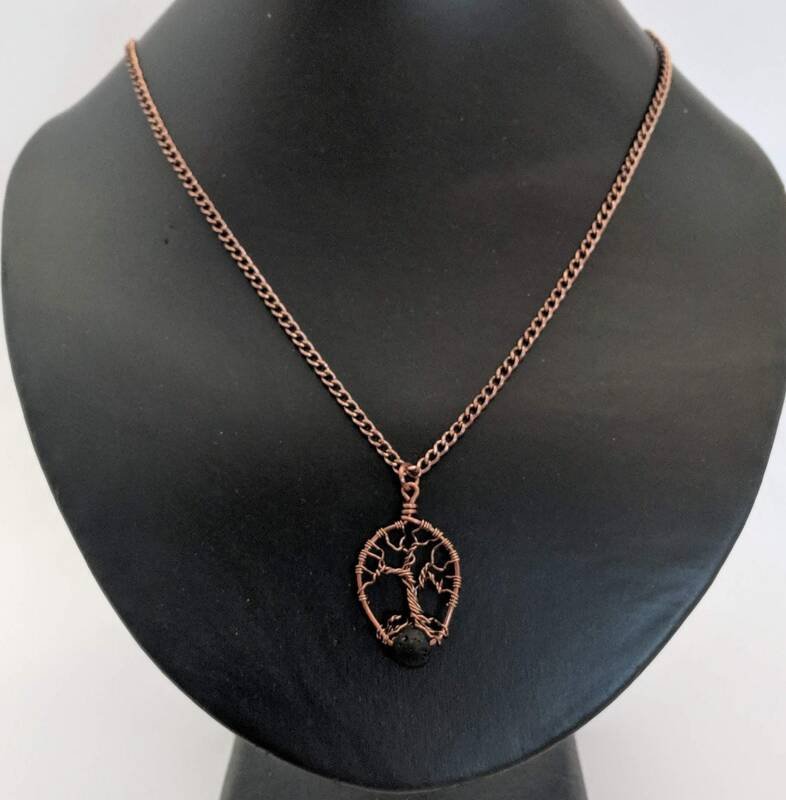 COPPER - Copper is conductive so many people believe it helps the energy flow through the body relieving ailments like arthritis, rheumatism and any painful condition. Can be worn for general healing and to prevent sickness. To be most effective wear in on the left side of the body if right-handed and the reverse for left-handers. History Notes: In ancient Mesopotamia, copper was attributed to the Queen of Heaven as well as the goddesses associated with the planet Venus: Ishtar, Astarte and Inanna (their Sumerian predecessor). In Roman times, this included Aphrodite, the goddess of love and beauty. 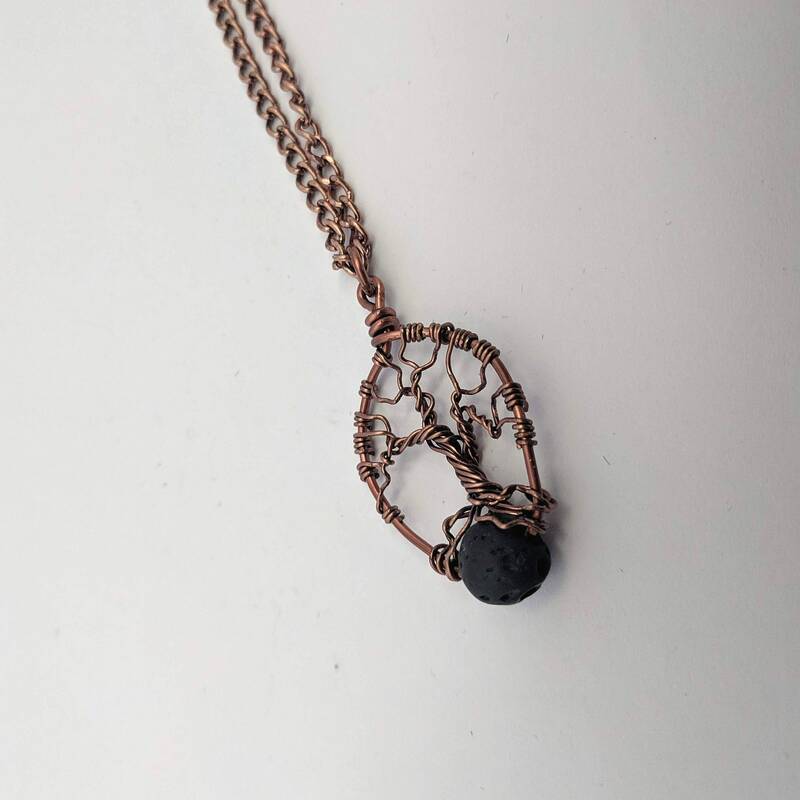 Personal Connection - It is a symbol of connection to all things. 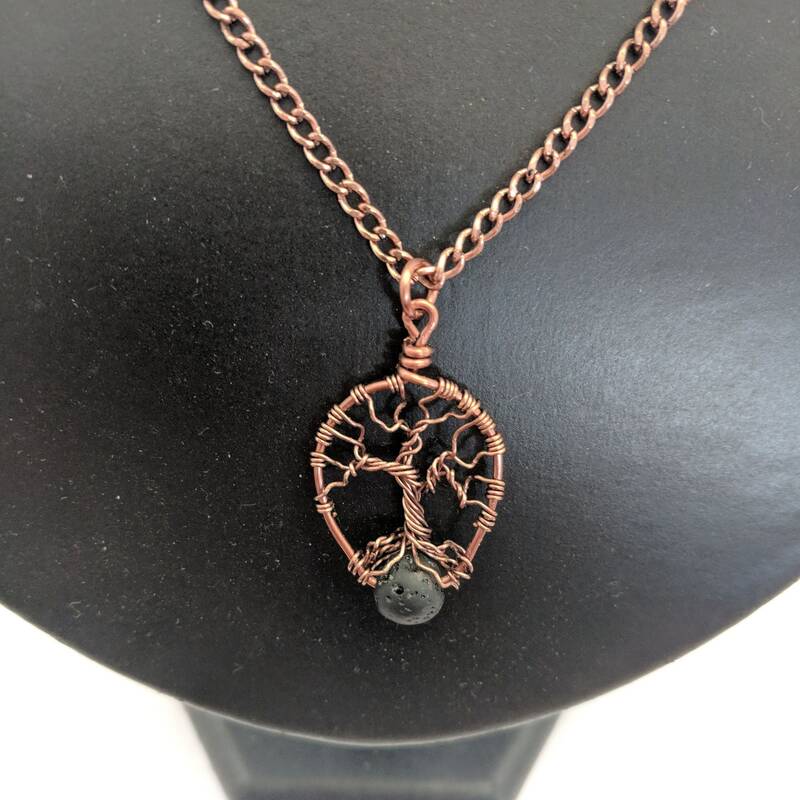 The tree has roots that reach deeply into the soil, acknowledging its connection to, and accepting nourishment from our Mother Earth. Leaves and branches extend into the sky, acknowledging Father Sun and accepting the energy that it transforms into nourishment. You are not an island, but are deeply connected to the world around you and dependent on it for your ability to grow and thrive. Family and Ancestry - A tree symbolizes the generations of your family; a tree sprouts from a seed, grows and branches out, sees how far it can go, and then creates a new fruit that gives life to the next generation to begin anew. Unique Individuals - As a symbol of your growth into a beautiful and unique person. When trees are young, they pretty much all look the same. But, as they grow older, they weather storms and are battered by the forces of wind and water. Their branches may break and grow back in a different direction, or the very soil beneath them will erode away, causing them to grow even stronger roots to hold on. Over time, they become very unique and beautiful in their eccentricity and idiosyncrasies. They are just as we all wish to become – shaped into fascinating, intriguing individuals who have weathered hardships and broad experiences in life that have made us into who we are. Birth and Immortality - As a symbol of rebirth. In the fall, trees lose their leaves and enter a death-like hibernation for a few months. But come spring, the tree sprouts tiny buds, bursts forth with dramatic blooms and leaves and is born again. In this way, it is also a symbol of a fresh start on life, positive energy, good health and a bright future.